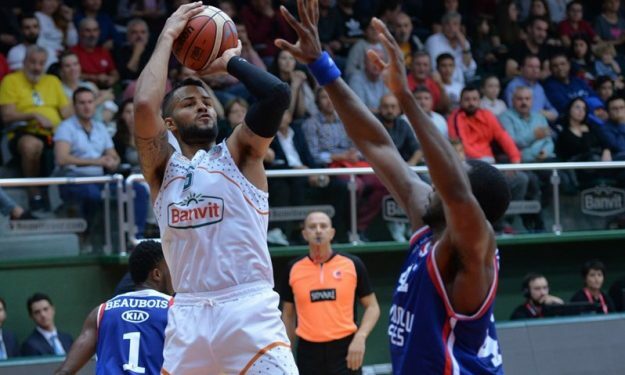 Banvit announced via social media that Devin Oliver will continue his 2018-19 campaign playing for s.Oliver Wurzburg. The 26-year-old American forward will take his talents to Germany for the first time following his stops in Belgium, France, Israel, Slovenia and Turkey. The Dayton alumni started his professional career in 2014 and joined Banvit last summer. In ten Basketball Champions League 2018-19 games, Oliver averaged 7.1 points, 5.5 rebounds and 1.2 assists. He had 13.3 points, 7.6 rebounds and 1.9 assists per Super Ligi match.